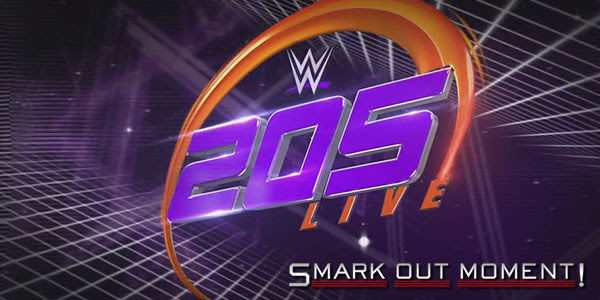 Tonight's episode of WWE 205 Live for fulldate is coming to you live from the KeyArena in Seattle, WA. Follow along here for ongoing coverage of the results of the show to find out what happens as things occur and chat with fellow WWE fans in the comments below! Don't forget to keep refreshing this page and checking back to get the most up-to-date results coverage! Enzo Amore yaps about Kalisto, who comes out to fight, but Enzo retreats. We're 1/4 of the way through the show already. Rich Swann vs. Gentleman Jack Gallagher is thrown out when The Brian Kendrick interferes and Cedric Alexander gets involved as well, resulting in a brawl between the two duos. Drew Gulak talks about Akira Tozawa. Proposal #9 of the PowerPoint presentation is "no defying authority". This Sunday at the TLC Kickoff, he'll have another presentation. WHAT DID YOU THINK OF THIS EPISODE?